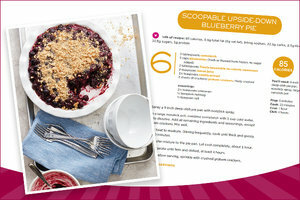 Hungry Girl Simply 6: All-Natural Recipes with 6 Ingredients or Less is NOW available for preorder! Simply 6 Preorder Promo Update! Our Simply 6 preorder promo was a HUGE success, and we've reached our max of 1,500 entrants. The promotion may be over, but you can still preorder the new book at a GREAT price! 1. 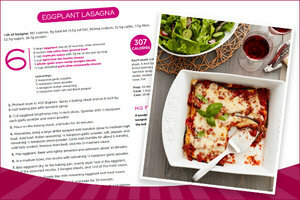 147 recipes with 6 main ingredients or less! Not just any ingredients: all-natural, everyday ingredients that are easy to find at your local supermarket. You’ve probably got a bunch of ‘em in your kitchen right now! 2. Recipes so fast and easy, most are ready in 30 minutes or less! There are 84 recipes you can make in half an hour (27 take just 15 minutes or less)! They’re all labeled and listed at the front of the book, so you can easily find the quickest recipes. 3. Chapters organized by main ingredient, so it's SIMPLE to find exactly what you want. Have some chicken? Flip to the Simply Chicken chapter for a slew of recipes! In the mood for veggies? Simply Veggie is where it’s at. Eggs, fruit, seafood, oats… Simply 6 has you covered! Plus no-cook creations, single-serving meals, family-sized & make-ahead options, and more! 6. You can get the book at a GREAT price... Shop around! The book is now available for preorder and up to 20% off! Click here to shop around for the best deal. Just three days left in our Happy Chew Year Challenge. Today’s task is easy: Eat an apple! Then tell us your go-to variety over on our Facebook page. Click "Send to a Friend" now -- you KNOW you're not gonna remember to tell your pals about all this later.